After spending many childhood summers at my grandparents lakehouse at Canyon Lake, I knew I wanted to spend both my personal and professional life in the Texas Hill Country! I live here and treat every customer/client like a friend and neighbor. After college I started working for one of the major land developers in the area in Sales/Marketing. 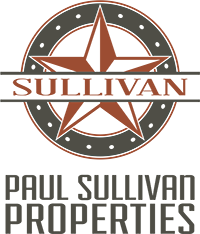 We built many of the beautiful communities/neighborhoods that you see thriving today. Later, I started my own real estate business as a "one man band" real estate broker. Since then, I have gone on to become the leading Realtor and now Brokerage with consistently top sales figures in the local area. Two years ago I purchased the old used car lot/post office on the corner of FM 2673 and Startz Rd and my office is now a custom built Real Estate Office at Canyon Lake with a complement of professional, local residents as my prime Realtors also specializing in the area. Fifteen years of local real estate business experience have helped me become a true Central Texas Real Estate professional and expert! I know the area, the history, the recreation, the development, the economics, the people and the culture of this wonderful location as it grows in diversity, potential and prosperity. This is my life and my love, and the goal is to continue to develop in the local area assisting both new residents and local ones experience the joys of lake life that we all know and love. Let me help you! My background is in marketing and I endeavor to use all the most current tools to aid in that; spending many hours researching new marketing trends, strategies and tools, and how to adapt those to our local climate to the benefit of all who live or want to live here. Stop by for a chat anytime; we always welcome local residents and are happy to assist in any way we can. ffice at Canyon Lake with a complement of professional, local residents as my prime Realtors also specializing in the area. "Paul was found us a great home with a view of Canyon Lake. This one was a hidden gem. Due to his involvement with the local market, he was able to ... more "
"We bought our lot from Paul in Las Brisas in 2008, and he sold it for us in 2016. 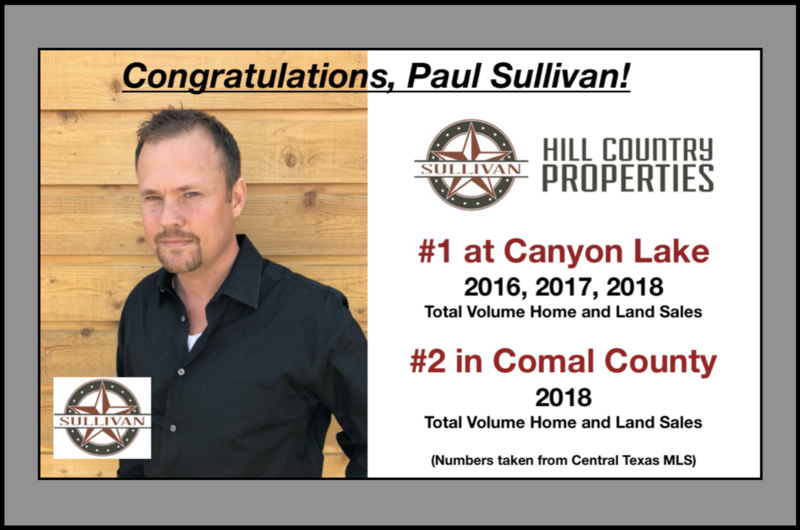 I doubt any other realtor knows Las Brisas like Paul does and he is ... more "
"I highly recommend Paul Sullivan if you are looking at purchasing property and would not hesitate to list property with his firm. He is knowledgeable ... more "